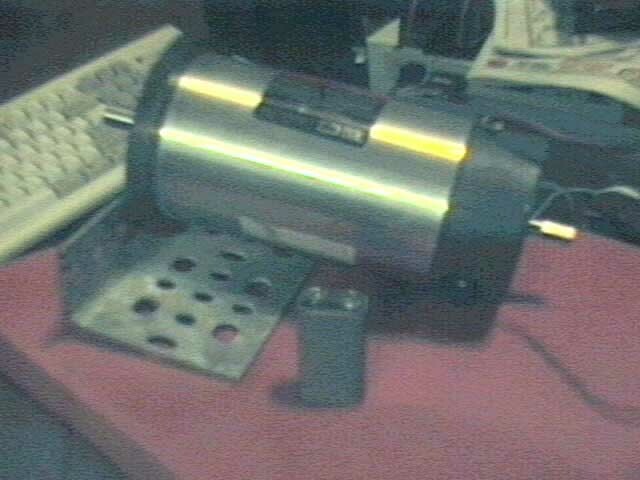 Here is the motor I am currently planning on using. 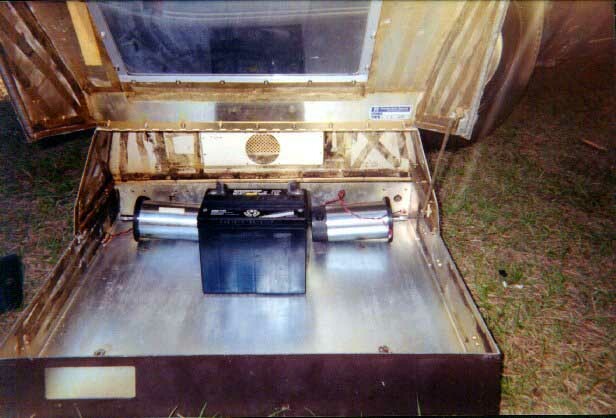 Its a 36volt Servo Motor built by ElectroCraft Corporation which was bought by another company. I am currently also looking into a set of wheelchair motors as I wish only to carry two batteries instead of three or four. 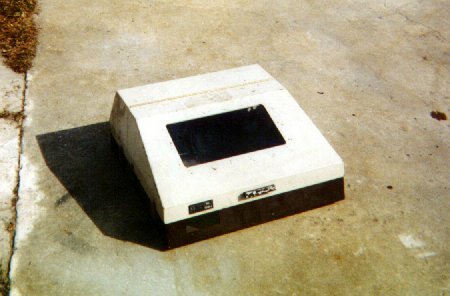 The body/chassis is an old printer that was VERY heavy. 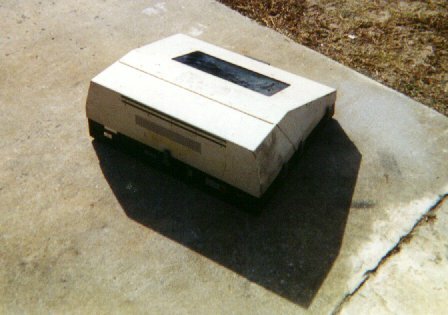 Actually, the printer itself wasn't heavy, it was the GIANT transformer inside along with the bottom of the case. 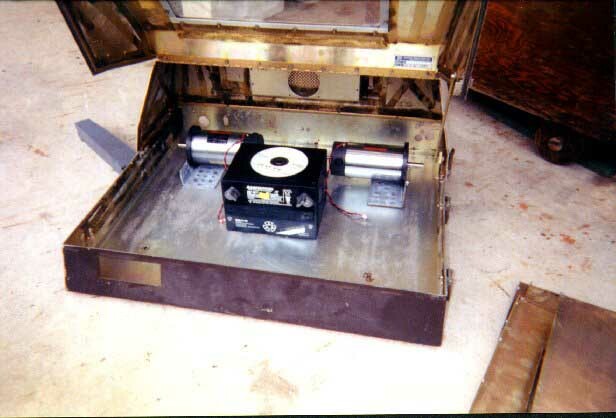 From this angle you can see the orignal latches that held it closed along with the handle to open it. This side is where i'm gonna put the lifter/scoop at when its done. Just a shot of the booty of the bot. Shake that robot booty! The case wide open. 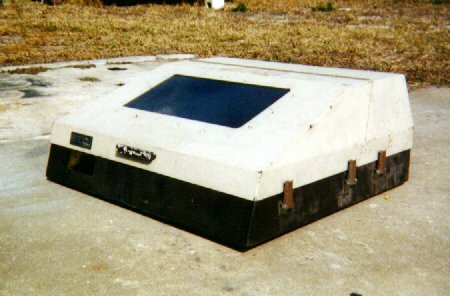 It even has its own prop setup to keep the top from landing on your head while working. I hope there will be enough room for everything though. Here is one of the two internal shots with just the motors and a battery I picked up. 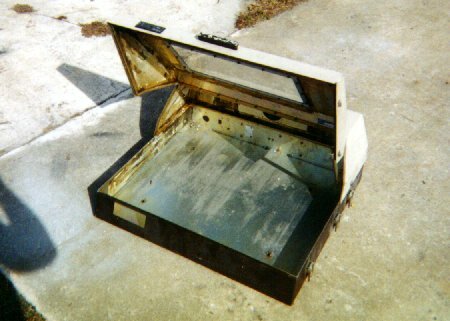 You can't tell, but the bottom of the case is made from some strange metal(steel), so I shouldn't have problems with attacks from below. This picture shows the scale compared to a CD-R(coaster of course). The motors were mounted on angle so they'd set up straight. I'll need room for at least 3 12v 17ah batteries and a CO2 tank along with two pneumatic cylinders with about a 2 inch bore. This will be the testbed when I get more parts. The wheels are just sitting there but they will rotate if there is no load on them. 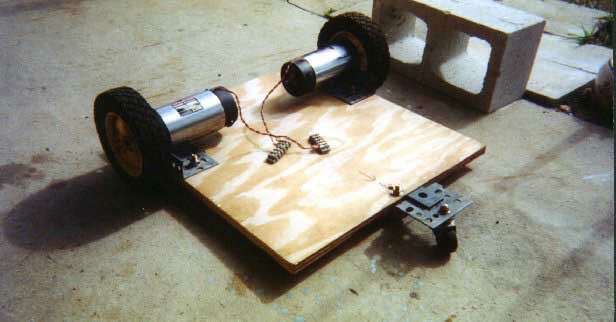 At 24v the motors get up to speed to burn the rubber off the tires. I also had fun launching the tires by letting them spin up to the highest RPM and then letting it roll off and roll away which was about 20-30 feet from where I was sitting with the motors.